As specialists in oilcloth and wipe clean tablecloths, we’re always keen to find ways to innovate and improve our products and services. We are delighted to announce that this month sees the launch of our new binding service for customers who would like their tablecloth to be edged with cotton stitching. The binding service costs £20 per tablecloth and is available on all designs in our range including oilcloth tablecloths as well as our Teflon-coated and PVC tablecloths. While hemming or binding isn’t necessary as the coating on our tablecloths does seal the edges to prevent fraying, the binding does add a finished look and enhances the presentation of the tablecloth. To order a Wipe Easy tablecloth with binding, simply go to the ‘Optional Extras’ section which you’ll see on the right of your selected tablecloth design and select ‘bias binding – hemmed edge’. If you would like us to use a specific colour cotton for your edging, please contact us to discuss your requirements, otherwise you can leave it to us to make the best choice to blend in with the colour and design you have chosen. The idea for our tablecloth binding service stems from a number of customer requests for wipe clean tablecloths with hems and follows close on the heels of the recent launch of our extra wide tablecloths and large round tablecloths. 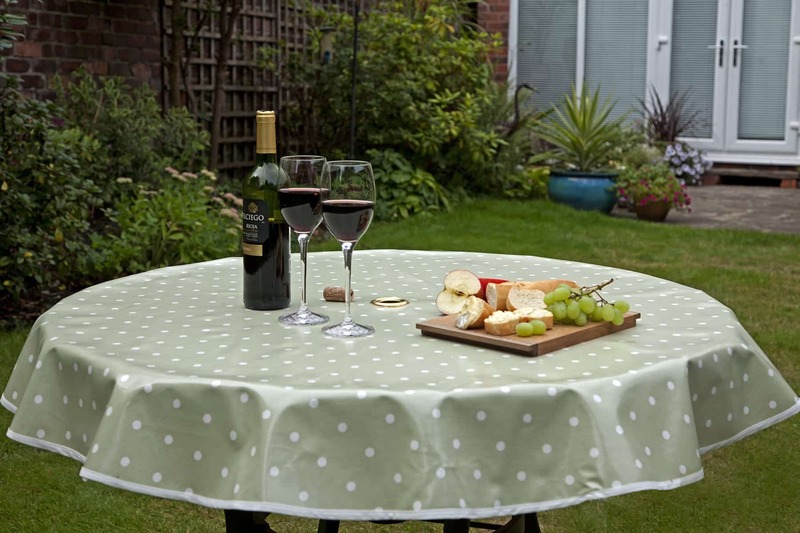 Always keen to anticipate and meet customer needs, we have also received recognition from The Guardian newspaper’s Small Business Showcase for being the first company to offer parasol holes for customers who wanted to use their wipe clean tablecloths with their garden furniture.